Affordable insurance is available with guaranteed acceptance. Guaranteed acceptance medical insurance is often the only insurance available to individuals with high-risk medical conditions. However, you still need to shop for the best coverage at the best price. Shopping for health insurance can be frustrating for individuals who have been diagnosed or treated for a pre-existing medical condition. The insurance companies realize that these conditions might require significant medical attention which may end up increasing their costs to pay for the individual's doctor, hospital, prescription and other medical needs. Because of this potential for increased risk, the companies may offer policies with high premiums, reduced coverage or long waiting periods. Some insurance companies will not insure an individual with a high risk medical condition. Other companies will provide coverage but they may charge higher premiums or provide limited coverage. Guaranteed acceptance medical insurance is available for individuals with pre-existing medical conditions. Coverage options and costs vary between policies, so it is important to shop for the policy that best meets your needs. Many guaranteed acceptance policies include a waiting period during which you are not covered for expenses incurred due to a pre-existing condition. Typically this waiting period is 12 to 18 months. A private health insurance company has denied them coverage due to health reasons. They have been offered health insurance that does not cover a pre-existing condition. They are being offered insurance with a higher premium because of their pre-existing condition. Individuals can purchase medical insurance where their acceptance is guaranteed regardless of the pre-existing medical condition. 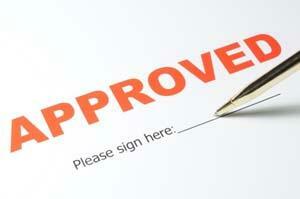 Guaranteed acceptance policies are typically available through insurance brokers. An insurance broker can be helpful in finding insurance programs that meet your particular needs. Some brokers recommend having two medical insurance policies, which will result in a broader range of coverage. This combining of two policies, called stacking, can be particularly helpful when one policy does not have all the coverage required. For example, a policy with prescription coverage can be "stacked" with a policy that does not have prescription coverage. There are many medical insurance options available for the individual looking for guaranteed acceptance. The Internet is an excellent source for information on the various programs available. Be sure you understand the coverage, premiums, claims procedures and reliability of a potential insurance company before you make your final decision.